The Google Play Store is your Android device’s home for downloading new apps, games, movies, and more. 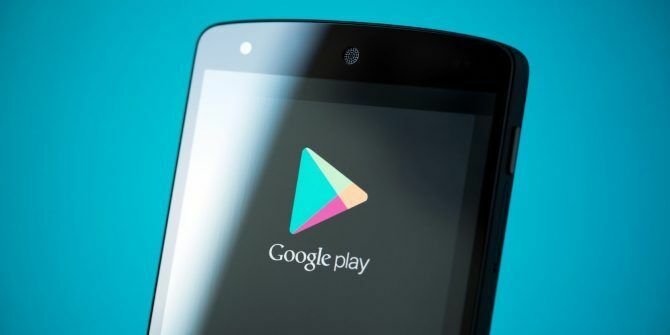 While it’s easy to use, it hides some secret tricks The Best Google Play Store Tips and Tricks for Android Users The Best Google Play Store Tips and Tricks for Android Users These tips and tricks will change how you use the Play Store. Read More you should know about. Let’s look at a cool new update Google is working on, plus a few extra tips you might not know about. You might have heard about Google’s Instant Apps feature, which lets you use apps without installing anything Android Instant Apps: What They Are and How to Start Using Them Android Instant Apps: What They Are and How to Start Using Them Android's Instant Apps let you use an app's best features without installing it. Here's how they work and how to try them now. Read More . Recently, the company introduced a new feature called Google Play Instant. This allows you to try a sample of games without installing them. Check out the Instant Gameplay tab of the Play Store to see which games are eligible. Right now only a handful work with this feature, including Clash Royale and Words With Friends 2. Tap Try Now on an app’s page to jump right into it. If you want to get new app features before everyone else How to Get New Features in Android Apps Before Anyone Else How to Get New Features in Android Apps Before Anyone Else Want to beta test new versions of your favorite apps before they're officially released? It's now easier than ever. Read More and help developers test their apps, you can opt into betas on the Play Store. This is a great way to stay ahead of the curve with updates, though you should be aware that sometimes betas are unstable. To join a beta, find an app you’d like to test and scroll down to the bottom of the page. If you see a Become a beta tester box, tap I’m in to join the beta program for that app. In the My apps & games section, you can select the Beta tab to see any app you’ve joined the beta for. If you’ve downloaded a ton of apps, you probably have hundreds of entries in your download history. This clutter can make it tough to find an app you want to re-download, so you can keep it tidy with a quick clearing. To remove the search history, slide out the left menu and choose Settings > Clear local search history. To remove individual apps from your history, open the left menu and choose My apps & games. Tap the Library tab, and you’ll see a list of every app you’ve ever installed. Touch the X icon to remove an app from the list. Unfortunately, there’s no way to clear this list quickly. Explore more about: Google Play, Google Play Store.